If your garage door needs a replacement and you live in Greensboro, North Carolina, or anywhere in the Piedmont Triad area, turn to 31-W Insulation for top-notch services. We are a family-owned and -operated company that has been serving homeowners throughout the Southeast since 1972, so you can trust us for our thorough industry experience. All of our installers are our own trusted employees, not subcontractors, which helps us ensure that you’ll receive the high level of customer service and outstanding workmanship that we are known for. 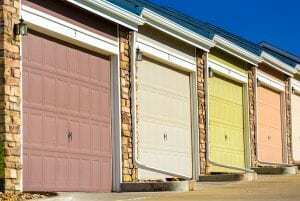 Visually appealing – Our garage doors come in a variety of designs in traditional, modern, and carriage house styles, and you can further customize them with your choice of colors, window options, and decorative hardware. Built to last – All of our doors are made from highly durable materials to ensure low-maintenance longevity. Safe to use – Each door we offer comes with state-of-the-art safety features to help prevent injury during normal use. Plus, you can choose from a range of insulation options for your new garage door to reduce heat transfer in and out of your garage when it’s closed. That way, you can improve the energy efficiency of your HVAC system if you decide to regulate the indoor temperature of your garage. To learn more about the garage door replacement services that we offer to Greensboro, NC, homeowners, contact 31-W Insulation today.